From Dealing With Society's Taunts To Becoming One Of The Well Known Stars On TV ! Meet Rushal Parakh- The Enigmatic Soul ! From Dealing With Society’s Taunts To Becoming One Of The Well Known Stars On TV ! Meet Rushal Parakh- The Enigmatic Soul ! Rushal Parakh is the guy who’s next on our list. Meet the guy who’s in a parallel lead role in the colors TV channel show “Tu Ashiqui”. 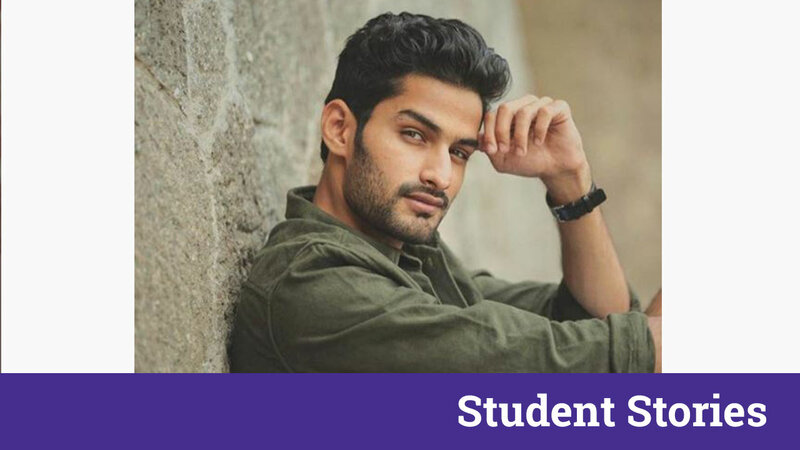 Rushal, born on 23nd January 1994 (age 23), is basically from Aurangabad (Maharashtra).He graduated from MIT-SOM college Pune and started pursuing his career as an actor from the TV show Pyar Tune Kya Kiya. He’s mostly involved into playing guitar and is also quite fond of going on Roadtrips. Rushal is a fitness freak and also participated in ‘Clean and Clear Fresh Face’ in 2014. Let’s check out how he answered some questions related to his day to day life. 1. Rushal, what was your purpose of stepping into the acting field? I’m a cinephile( who is fond of cinemas) since childhood. I use to get really fascinated after seeing celebrities in award shows. I use to keep telling my mom that I want to be there when I grow up. But as I grew up and explored myself.. I got a bigger purpose.. I.e I developed a liking for traveling and visiting new places learning new languages! Meeting new people’s and knowing their life style. Wishing that I could live their life once. So this illusion turned into dream and dream into reality. 2. What has been the key moment so far in your life? Key moment.. Umm The moment I started believing in myself and overcoming my fears and inhibitions to make this choice! The choice that got me to enter this industry. 3. Who’s been your role model and what things about your idol influences you the most? Hrithik Roshan, He fought though all odds to be where he is right now! I having gone through a similar phase where I had speech problems! He therefore inspires me to do the same with his “ Nothing is impossible “ attitude. He’s also involved into reading novels, a part time hobby. 4. How have your colleagues been a part of your acting life ? Also read The Young Rock Star Who Is Stealing Millions Of Hearts With His Catchy Performances ! Meet The Actor, Host And The Celebrity Star- Prit Kamani ! 5. How has your career shaped in the past couple of years? 5. I came to Mumbai in 2016 I gave a lot of auditions sometimes four to five in a day. I took rejections as a Re- Direction to something better. After 6 months I did my first commercial Nova ghee which didn’t release. Then I got a Cadbury Dairymilk ad powered by MTV, which added value to my face and Profile . Then Cricbuzz and couple more! Finally this show “ Tu Aashiqui “ As parallel lead. 6. Have you ever been insecure about your acting career? 6.I was rarely insecure because that’s the sign of a man who doesn’t know his craft. I May not be a good actor yet. But I’m a good learner and i constantly keep working on my skills. 7. Rushal, If you’d not been an actor, what other field would have you chosen? 7. If not actor I would have been a Travel blogger and would Travel the whole world. I would even love to run my cafe chain all over the world. Rushal is also a fashion icon these days. 8. Who’s been your constant support throughout your journey so far? 8.I had short breathing problem. My family opposed me to get into this career. But I knew I would it. And my father and mother believed in me. From Scoring 95% in 10th boards To Acting In English Vinglish ! Navika Kotia Has Come A Long Way In Life ! Meet Laksha Who Is Breaking All The Stereotypes ! A Fashion Stylist Who Is The True Definition Of Fashion and Charisma !